Belmond Hotel & Resort, Chattarpur, Delhi is also known as Mapple Exotica is spread over 8 acres. The venue is great for hosting your pre-wedding function, wedding and reception ceremony. Belmond Hotel Chattarpur is located near the famous Raj Vidya Kender School and Satbari Village Masjid which is well-known among the locals. The venue has a multi-cuisine restaurant named ‘Elements’ that serves a wide range of Indian, Continental and Oriental cuisines. Belmond Hotels Chattarpur has multiple party areas which allow you to have different functions at the same venue. It has spacious banquet halls for having indoor functions and lush green lawns for having open-air functions under the starlit function. The Belmond Resort Chattarpur serves alcohol and also allows you to get it from outside. The venue has luxurious rooms for the guests which gives them a comfortable stay. Head here at Belmond Hotels Delhi if you wish to have an event that will be remembered forever. The venue not only has banquet halls but also possesses facilities like accommodation & multi cuisine restaurant. 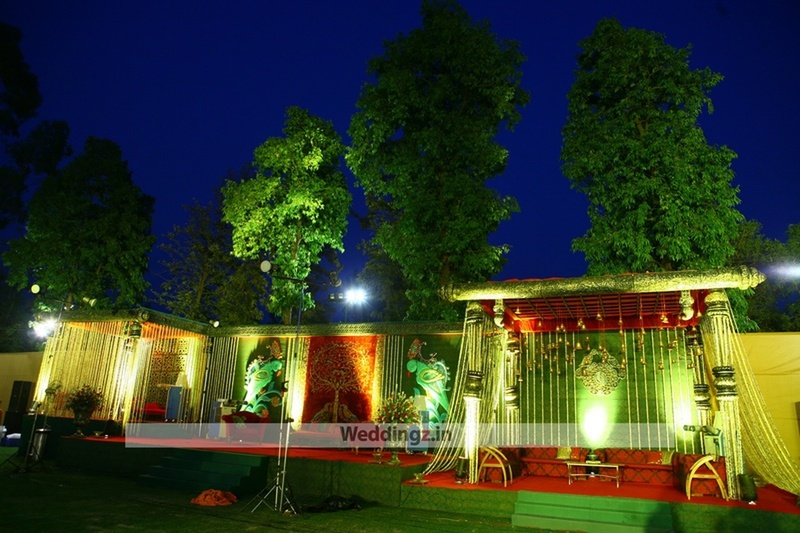 it can be a perfect venue for residential weddings, which can host all your functions be it Haldi, Mehendi, Cocktail or Wedding. Apart from this, it is also perfect for corporate events, birthday parties, social gatherings, etc. The Bellamonde Hotel & Resort located in Chattarpur, Delhi has Wedding Hotels, Banquet Halls and Wedding Lawns. Poolside can accommodate upto 200 guests in seating and 300 guests in floating. Imperial can accommodate upto 600 guests in seating and 1000 guests in floating. Avalon can accommodate upto 250 guests in seating and 400 guests in floating. Solitaire can accommodate upto 250 guests in seating and 400 guests in floating. Pavillion can accommodate upto 100 guests in seating and 150 guests in floating. Aspen can accommodate upto 150 guests in seating and 200 guests in floating. Mayfair can accommodate upto 200 guests in seating and 300 guests in floating. Vegetarian and Non Vegetarian food is served at this venue. Features of this wedding venues are : Food provided by the venue , Non-Veg allowed at the venue , Alcohol allowed at the venue , Outside alcohol allowed at the venue , Halls are air Conditioned , Ample parking , Baarat allowed , Hawan allowed , Overnight wedding allowed , Decor provided by the venue , Packages starts at Rs 1700 per plate for vegetarian menu and at Rs 1900 for non veg menu. Decoration starts at Rs 60000.